Present: Kellen Brooks, Bill Bryant, Priya Desai, Larry Eberhardt, Sinead Maguina, Bansari Mehta, Nancy Musselman, Floydette Seal, Jo Hill Snyder, Richard White. Guests: Misheala Giddings, Sam West. Regrets: Dee Freeland, Kye LeBoeuf, Firouz Mollaian, Akash Patel, Marina Rodriguez, Michelle Rodriguez, Jerry Stephens. Opening of Meeting, Introductions & Announcements. Sinead Maguina called the meeting to order at 5:32pm. We convened at the Disciples Center, 301 NW 36th Street. (1) Announcements: The directors addressed some items of general interest. Sam West introduced himself, and we welcomed him to the meeting. It was noted that membership in UNA-USA is a minimum requirement for serving on our leadership team. It’s easy to join. 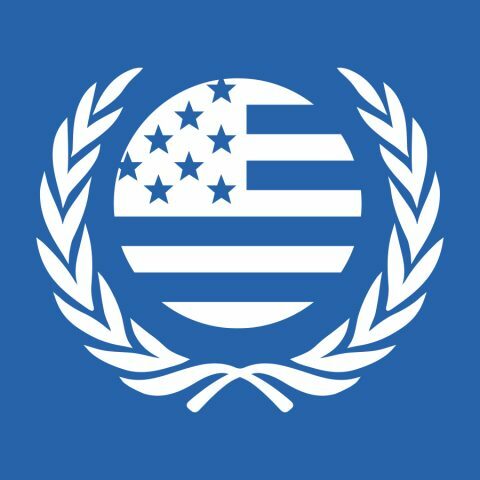 There is an online sign-up page here … http://www.unausa.org/membership. (a) The next program of the Jewish Muslim Film Institute will be on Sunday, March 5th, at the Temple B’Nai Israel. It will be a panel discussion featuring a report on a recent interfaith tour of the Holy Land. (b) Priya Desai reported briefly that she is continuing to work on items related to strategic planning. (2) Program Planning. The attention of the directors turned to program planning. Our discussion was focused on our Women’s Day program. Date / Time … Saturday, March 4th, from 1pm to 3:30pm. Location … Raindrop Turkish House, OKC. Details … The annual United Nations Association of Oklahoma City Women’s Day Fundraiser will be a panel on movement building during difficult times called Organizing Women. Our distinguished panel includes: Sarah Adams-Cornell, Tamya Cox, Dr. Maria del Guadalupe Davidson. Please join us for light refreshments, a silent auction, and an engaging panel discussion followed by a question and answer period. Richard agreed to create a flyer, Facebook Event, and a page on Eventbrite for tickets. It was agreed that we will ask $10 for admission ($5 for students). The good folks at the Turkish House will provide Baklava, and we will bring cheese and fruit. Kellen and Richard agreed to staff the registration table. Misheala will manage the silent auction table. Priya offered a motion to approve the plan as outlined; seconded by Bill Bryant. The plan for the program was approved by consensus. Returning to the discussion about our Women’s Day program, a suggestion was made that we should offer to compensate the Raindrop House for hosting our program. Sinead offered to get a $50 gift card, and we agreed to reimburse her. Treasurer’s Report. Floydette circulated a report on the chapter’s finances through January 31, 2017. (See below). Bill moved to accept the report, and a second was heard. Approved without objection. Membership Development Report. Bansari Mehta reported that she has not received an update from the national office in several weeks. At this point in the meeting, Kellen Brooks reported that she received a message from Michelle Rodriguez. Michelle described several items that have been donated for the silent auction. Communications Report. The new website looks great, and we’re continuing to stay engaged with our community through social media. a. Hispanic Cultural Day at the State Capitol, May 1st, 12 Noon to 4pm. Our chapter has been invited to participate in the Hispanic Cultural Day at the State Capitol on May 1st. b. Hideaway Fundraiser: Tuesday, March 7th. Michelle has arranged for our chapter to receive a portion of the proceeds at Hideaway Pizza on North Western Ave. on Tuesday, March 7th, 4pm to close. Eat at the Hideaway, and support your local chapter of the UN Association. c. UN Running Team – YWCA Sexual Assault Awareness Month Fundraiser: Saturday, April 22nd. We have been invited to participate in the YWCA’s 5K fundraising run. It will take place on Saturday, April 22nd. The race starts at 7am. Richard is interested. d. New mandated chapter bylaws: Review. All chapters are being asked to sign a new affiliation agreement with UNA-USA. Additionally, the national organization has set some new guidelines for local chapter bylaws. We need to review our bylaws, and take necessary action by April 1st. This will be an item for our meeting in March. And, we’re looking for someone to step into the role of Advocacy Director. Let Sinead know if you’re interested. (6) Adjournment. At the conclusion of the meeting, Priya made a motion to adjourn, and it was seconded by Bansari. Without opposition, the meeting ended at about 5:59pm.